Mass culture is the subject of both celebration and critique in our latest Short + Feature, premiering today on the Criterion Channel. 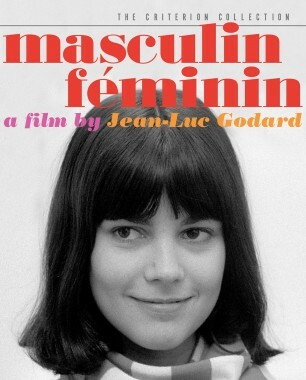 This week’s program highlights two French films that satirize the ubiquity of consumerism: Jean Luc Godard’s inventively free-form masterpiece Masculin féminin (1966), whose intertitles famously include a tongue-in-cheek reference to “the children of Marx and Coca-Cola,” and graphics and animation collective H5’s Logorama (2009), an Oscar-winning animated short that depicts a cityscape assembled out of thousands of corporate logos. In the following video, Channel programmer Penelope Bartlett introduces the pairing and discusses each film’s playful send-up of American capitalism.